"Have a magical day!" is the way Disney cast members wish you farewell. They're not kidding. The "happiest place on earth" does its best to make it so. The cast members (Disney-speak for employees) help, but Walt Disney World is well on its way to achieving consciousness. How? As Arthur C. Clarke so eloquently stated, "Any sufficiently advanced technology is indistinguishable from magic." Back to our story. The Magic Band is truly magical. It is a one-size that can be adjusted to fit all, HF radio frequency transmitter and receiver that is meant to be worn on your wrist. Like all good technologies, in a very short period of time, it becomes invisible, which is great (if you're the Walt Disney Company) because invisible = frictionless. The Magic Band's capabilities include payment for everything on the Resort (if you link a valid credit card to your account), entry to any of the theme parks (based on the package you have purchased), the aforementioned Photo Pass and Fast Pass -- your VIPish admission to rides and attractions. The Magic Band has both long-range (about 40 feet) and short-range (must be in contact with) scanning capabilities. This opens up infinite possibilities for its use. We passed through physical security and had our bags checked by officers, then waited in line to touch our bands to a sensor as well as fingerprint-confirm our entry to the park. 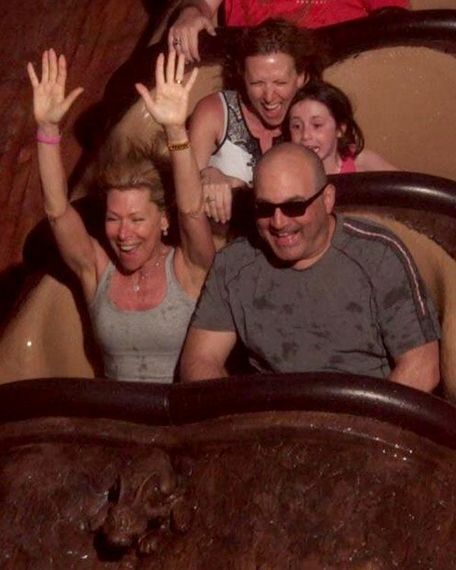 But this picture of me on Splash Mountain was "magically" attached to my Memory Maker Photo Pass account without any interaction from me whatsoever. The long-range scanner picked up my band and linked the photo to my account. All I did was enjoy the ride. It is easy to imagine a Disney experience that is 100 percent long-range scanner enabled. In this case, the park would just know who you are and where you are and could make a pretty good guess about what you wanted to do. What will Disney learn from the millions of interactions each day? This is an awesome big data project. Disney data scientists will certainly use versions of association rule mining to understand statistically independent data. They will probably use machine-learning techniques to mine this wealth of data and discover things about food service, line length, migration patterns, consumer profiles and entertainment preferences. Of course, they will also learn that rules, such as the three Fast Passes per day limit, have consequences -- perhaps unexpected ones. I noticed throngs of people walking aimlessly (looking at their phones) at the Magic Kingdom, Epcot, Animal Kingdom and Disney Hollywood Studios (we spent one day in each). They were not in line for rides. Why? The best rides had the longest wait times. Rides and attractions with the shortest wait times were suboptimal. The app that was supposed to help you navigate the lines did its job -- too well. It told you what you couldn't do without a Fast Pass. Sadly, the "top ten" psychology served to extremify the ranking. To a casual observer, it appeared that people purposely shunned rides with the shortest wait times (I did a few armchair survey questions that unscientifically confirmed my suspicions). So there were people in hour-plus-long lines and people walking around trying to figure out which long line they wanted to wait in. "The big get bigger and the small get smaller" seems to be an axiom of the information age. 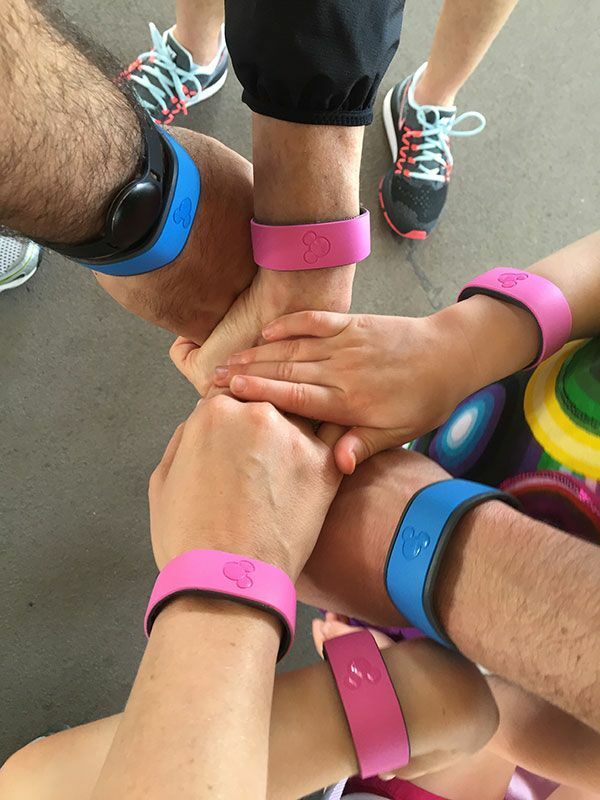 My guess is that Disney Data Mining is going to change everything about the Walt Disney World Resort -- but I also think the knowledge will have a huge impact on every business interested in the Internet of Things (IoT). I don't know if or how the Walt Disney Company will share its proprietary information about the Magic Band. I know it won't share personal data, but I hope it shares some of the learnings. The data warehousing, data munging, data regularization, data mining and both real time and conventional analytics knowledge that Disney is gathering is a microcosmic preview of the world we're about to live in -- a world of businesses striving to reduce friction and facilitate personalized experiences and purpose-built to increase shareholder value. Not exactly the "magic" Arthur C. Clarke had in mind, but magical nonetheless.